Balkrishna Industries hit a record high of Rs 1,974, up 8%, extending its Thursday’s 2% gain on the BSE in an otherwise subdued market after the board recommended 1:1 bonus share. “The board has recommended for issue of bonus shares to the members of the company by capitalization of free reserves in the ratio of 1 (one) bonus equity share of Rs 2 each fully paid up for every 1 (one) existing equity share of Rs 2 each fully paid up (i.e. in the ratio 1:1),” Balkrishna Industries said in a statement. The board also declared 2nd interim dividend of Rs 2.50 per equity share in addition to Rs 2.50 per equity share declared in Q1FY18. 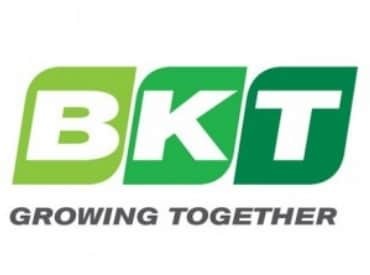 Balkrishna Industries reported a better-than-expected net profit at Rs 203 and revenue of Rs 1,114 crore for the quarter ended September 2017 (Q2FY18). The company has recorded highest ever quarterly volume at 49,331 MT, a growth of 15.9% YoY, against analyst estimate of 11%. “The management has raised both lower and upper end of volume guidance by 5K MT to 190-195k MT for FY18e, implying a quarterly run-rate of around 49,700 MT/quarter in 2HFY18 at upper end of guidance. Foray into newer geographies, new product launches and superior after-sales services are expected to be triggers for BIL as it is continuing to outpace global OTR market growth of around 6%,” analysts at Antique Stock Broking said in result review. At 12:02 PM; the stock was trading 6% higher at Rs 1,938 on the BSE, as compared to 0.05% decline in the S&P BSE Sensex. The trading volumes on the counter more than doubled with a combined 354,318 shares changed hands on the BSE and NSE.